While Navy officials deal with the latest collision, the warship struck in the previous one is headed home. 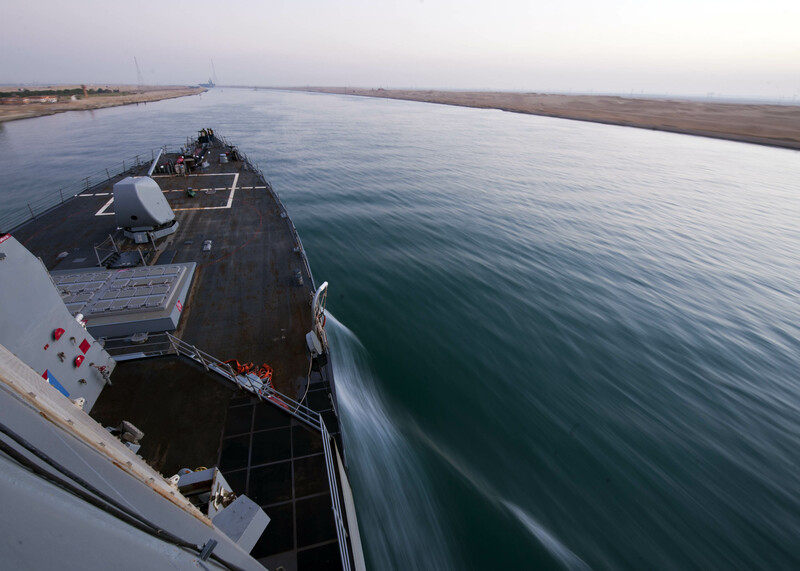 Destroyer Porter passed through the Suez Canal on Oct. 12 on its way home to Norfolk, Va. The impact from its August collision with a supertanker crumpled the ship’s starboard side just in front of the superstructure. The impact smashed the starboard break, a passageway on the weatherdecks, tore open a hole above the waterline and ruptured internal pipes and cables. Seen from the bridge, it appeared as though the supertanker Otowasan’s bow bit off a chunk of the destroyer’s side. That has now been patched up. A Navy photo from the destroyer’s canal transit shows that new deck and non-skid has been laid down and the refueling deck has been repaired, some of the many sections fixed after a month of repairs in Jebel Ali, United Arab Emirates. Porter, returning in tandem with the Enterprise CSG, has been deployed for seven months. The ship’s commanding officer was fired two and a half weeks after the collision.